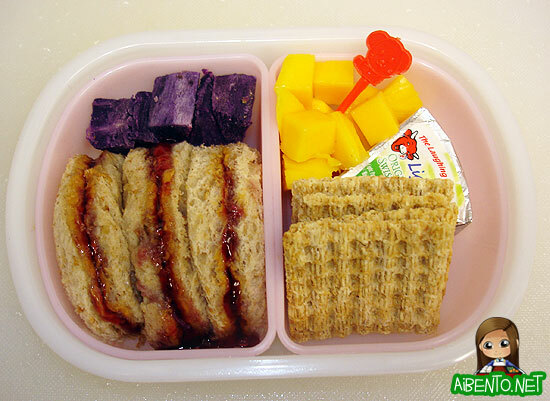 Home » 2007 Bentos » Children’s Day Bentos! Anyway, she loved it and miraculously ate everything. She especially loved using the pick to eat the mango! We stopped at Windward Mall and I managed to drag us all to the Marukai store there. 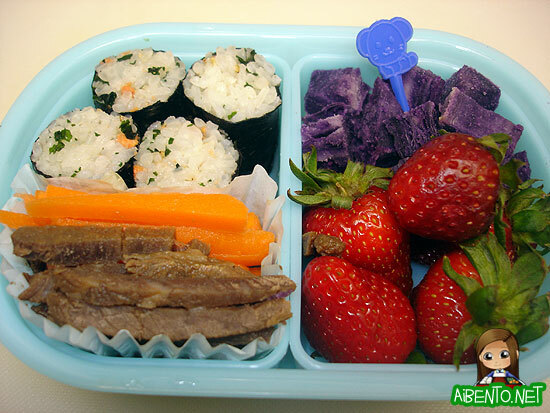 I found some $1.49 2-tier bento boxes, veggie shaped soy sauce bottles, and more food picks. I was going to pack a salad for myself so I could have a Core lunch, but then I weighed myself and I’d dropped over half a pound from yesterday. So I ate at Arby’s! *gasp* But I was good, ate a grilled chicken sandwich and when I saw there was mayo on the bun, I stopped eating the top half.